This piece is hand sewn, and ready to hang from tabs installed on the back. 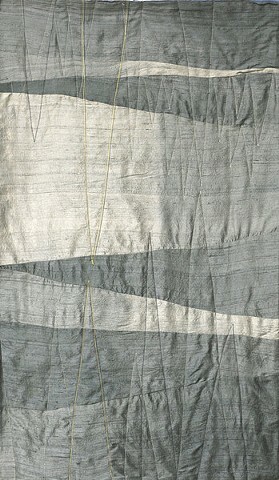 It is constructed of hand-woven Thai silk, ombre dyed and sewn with cotton and metallic thread. The backing is durable canvas.